The Flash is back, and after a couple episodes of watching Gotham, I’m very glad to have this show back. This is the type of show that knows how to balance the fun of being a superhero who runs really really really fast with the serious dramatic moments of losing your friend, your husband, your father, and it manages to make you care about both of those moments. The season finale introduced the concept of different universes, and this episode gave up a little bit more information without dwelling on the exact nature of what’s going on just yet. There were plenty of great moments in this episode, and a couple of shocking ones, and I can’t wait to see where this season goes. I won’t do this very much, but since I have been watching Gotham for a few weeks now, I do have to compare at least the opening of this episode with the premier of Gotham. Both shows started several months after the events of the climactic season finale, and both shows have the characters in a slightly different situation than they were in during the last season. The big difference is that the Flash actually explains how those differences came to be over the course of the episode while Gotham essentially just glosses over them and course corrects to bring things back to normal over the course of a couple episodes. The Flash has its own course correction within this single episode, but there are a handful of changes along the way. The villain of the week, Atom Smasher & one of the best moments where Dr. Stein names him. As far as the cliffhanger of the singularity and the lingering question of why Victor Garber has been signed onto the Legends of Tomorrow show but Robbie Amell hasn’t, that is answered near the end of the first act of this episode. Barry is able to stabilize the singularity by running really really fast, but he isn’t able to dissolve it. In order to do that, there needs to be a large release of energy, like the one that comes from the separation of Firestorm. And when that happens, the singularity is dissolved, but only Garber’s half of Firestorm makes it out of this end of the black hole. Of course, since this is the origin of the multiple universes that doesn’t mean that Ronnie is gone forever, merely that he is off in another universe (and another show) for a while. What the episode is really about is what does it take to be the hero of Central City? The city is having a Flash day to celebrate the fact that he saved the city from this singularity (which was also partly caused by him, but that’s beside the point). Barry doesn’t initially want to accept the key to the city because he doesn’t feel like he deserves to be called a hero. He’s struggling with the fact that he’s getting all the credit for something that Ronnie Raymond and Eddie Thawne sacrificed their lives for, and because of that he has dissolved his team and has been going at it alone. But over the course of the episode, there are several moments where he learns more about what being a hero means. He has pushed his friends and family away from him because he thinks it will protect them, but he doesn’t see that they want to protect him just as much and are at the point where they’ll no longer take no for an answer. There’s also a moment where he has to confront a part of his past that he’s scared of. When Eobard Thawne disappeared, the legacy of the past fifteen years spent living in Central City wasn’t completely erased and he had left Star Labs to Barry with a single caveat: that he had to watch a video left to him before Thawne died. 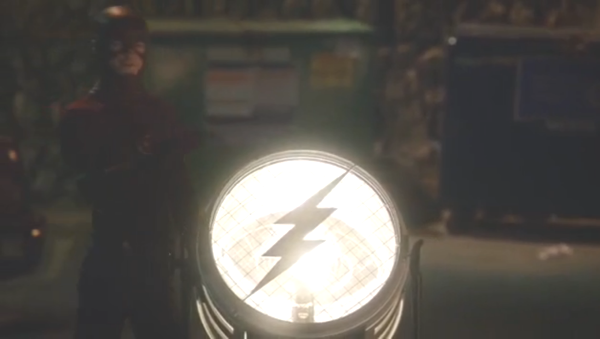 And when Barry is finally able to watch the video with Caitlin’s support, Thawne proves to have been inspired by Barry in his own small way as he leaves a video confession that ultimately frees Barry’s father from prison. And Henry Allen also gets his own hero moment where he understands that even though he is free and would love nothing more than to be able to spend time with his son, he knows that doing that would take time away from Barry being a hero and saving the people that need him the most, and so he decides to move away from Central City while still being close enough to come back when needed. I will say that I am a little disappointed to hear that Shipp won’t be a regular fixture in the show, but I think the other alternative would have been for him to be killed so I think this is the much better solution. I haven’t talked much about the plot of the episode and that isn’t really that important, because while it is still about the Metahuman of the week to a certain extent, the show is more about a feeling, and the Flash is able to capture that feeling more than any other superhero show that I’ve seen in quite a while. It’s that feeling that allows this show to essentially take a villain very similar in structure to Batman & Robin’s Bane complete with some of the shadiest CGI that I’ve ever seen on this show and make it work because it’s the characters and what’s going on with their dynamic that you care about just as much if not more than the actual villain himself. 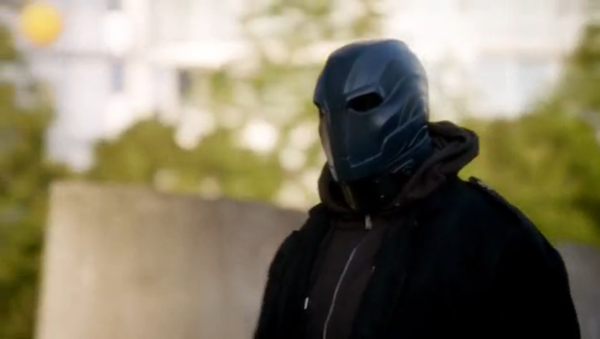 Welcome back Barry, you’re still the hero of Central City as well as the CW.